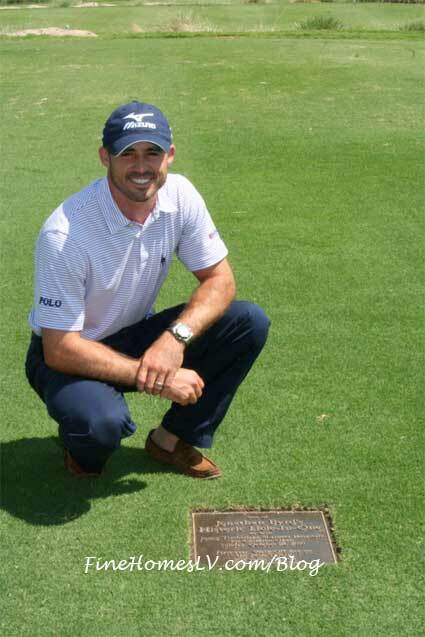 PGA Tour Professional Jonathan Byrd unveiled a commemorative plaque on Tuesday the 17th tee at TPC Summerlin in honor of his 2010 hole-in-one win at the Justin Timberlake Shriners Hospitals for Children Open Las Vegas golf tournament. Byrd recollected this historic PGA Tour moment for members of the media, Shriners Hospitals for Children executives and Crimson Links members at the tournament’s media day and credited his win in Las Vegas for momentum in future tournament titles. Joined by fellow PGA Tour Professional Charley Hoffman, the two noted that the Fall Series events, including the Justin Timberlake Shriners Hospitals for Children Open, brings a competitive edge over other stops for many players as they compete to retain their PGA Tour card. University of Nevada Las Vegas alum and Las Vegas resident, Hoffman shed light on his 2011 season and shared details of his Charley Hoffman Foundation Las Vegas Pro Am to take place on Monday, Sept. 26, at TPC Summerlin. Following this year’s event, Hoffman, among other PGA Tour pros, will act as celebrity servers at Morton’s The Steakhouse Las Vegas to raise funds for his foundation which provides financial support for a variety of children’s organizations in San Diego and Las Vegas. Tickets are available at http://mortonsmlfcharleyhoffman.eventbrite.com/. Last year’s Pro Am donated more than $77,000 to five local charities including the Transportation Fund of the local Zelzah Shrine Temple, helping transport local Las Vegas children to Shriners Hospitals free of charge. Announcing details of the upcoming 2011 Justin Timberlake Shriners Hospitals for Children Open, Tournament Director Adam Sperling explained how the event is more than a golf tournament with the numerous community events taking place throughout the week. New to the tournament line-up, two post-play celebrations will be held in the tournament’s upgraded ticket venue, The Hill on Wednesday and Sunday evening that are free for the public to attend. Sperling also announced this year’s MGM Resorts International Pro Am will welcome Anthony Anderson, George Lopez, Cedric the Entertainer and Marshall Faulk among others. 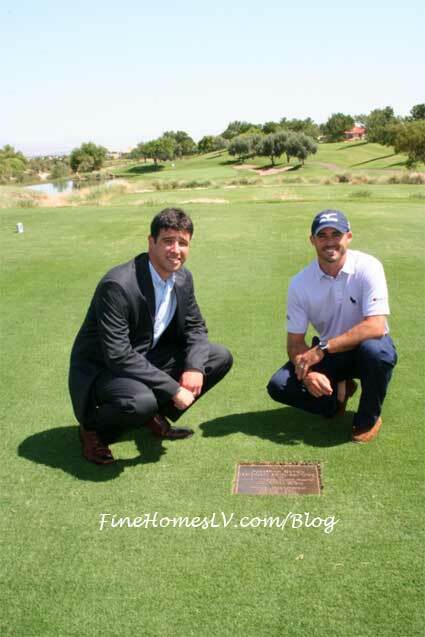 For more information on the 2011 Justin Timberlake Shriners Hospitals for Children Open, visit www.jtshrinersopen.com.